Milton Keynes Council is set to call in an independent investigator to get to the bottom of how it made potentially costly errors in a decision to allow a bigger replacement warehouse to be built in Blakelands. Not only has a Judicial Review been launched but residents in the Yeomans Drive area are up in arms over how permission was given for the 18 metre high, 20,522 sq-metre building. Now this week, two committees have been updated on a council error that meant 13 planning conditions were left off a legal letter giving permission. The Development Control Committee had decided in January 2018 that it couldn’t refuse permission for a warehouse but wanted to impose conditions on things like hours of operation and lighting. A report to Thursday’s Development Control Committee will hear that councillors have requested that a review be undertaken in respect of the decision making process of the planning application. Now officers are looking at starting this review. Councillors have been provided with confidential information relating to the costs of all the options, including of revoking the planning permission. Blakelands Residents Association, in a statement on its Facebook page said: “It is quite clear that MK Council have found something which is significant enough to request an independent investigation by an external planning expert. 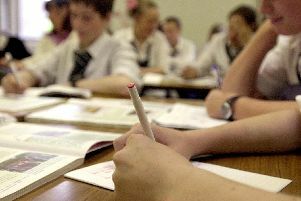 Who would you help… kids starting school in Milton Keynes, or students taking exams?